The new deal, which the companies claim is the first of its kind involving a sports league, players’ association and commercial partner, will see Telstra, the AFL and the AFL Players Association work to generate and publish digital content to share with footy fans. Fifty star players from national AFL clubs will also be selected based on their influence to also become Telstra ambassadors, appearing during Telstra store openings and community events such as coaching clinics and meet-and-greets. The latest deal sits on top of an existing digital rights agreement between the AFL and Telstra running until 2022. As part of this agreement, Telstra created the AFL Live Official App and the Telstra Media AFL Digital Network. The telco has been working with the AFL since 2002. In a statement, Telstra group executive of media and CMO, Joe Pollard, said the intention is to work with the AFL and players to create social media content for fans and exclusive moments for the telco’s customers virtually and physically. “We already play a big role in bringing Australians closer to the game through the AFL Live official app. This new agreement takes our involvement and commitment to the AFL to a new level,” she said. AFL CEO, Gillon McLachlan, said the partnership was a way of innovating around the game. “Footy fans want to connect with the game, their clubs and most importantly, with the players,” he said. 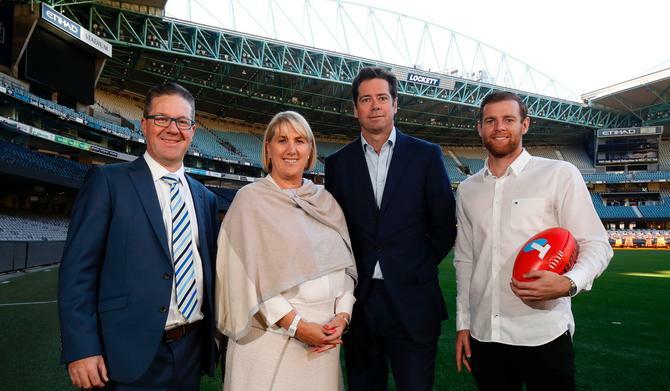 AFL Players Association CEO, Paul Marsh, also said the partnership demonstrates a commitment to identify new ways to strengthen the industry and grow the game’s footprint nationally. It’s also designed to help players retiring from the game by recognising their ongoing contribution to the sport.